We’ve recently made a huge decision of moving and have just bought a house. 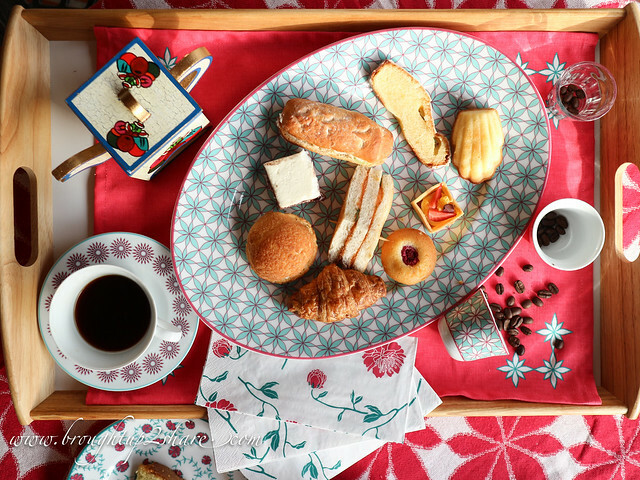 So thrilled with decorating our new house, we’ve followed IKEA’s collection pretty closely and their recent festive collection just caught my attention. I personally love textures and colours. 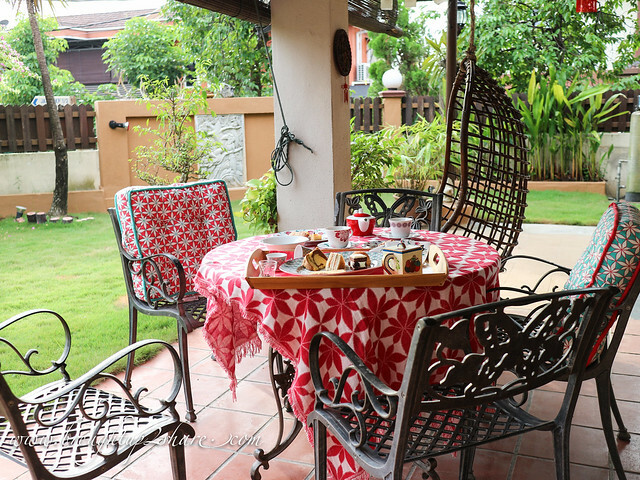 Papa C and I love having breakfasts and barbecue at our garden but we’ve never tried doing afternoon tea. 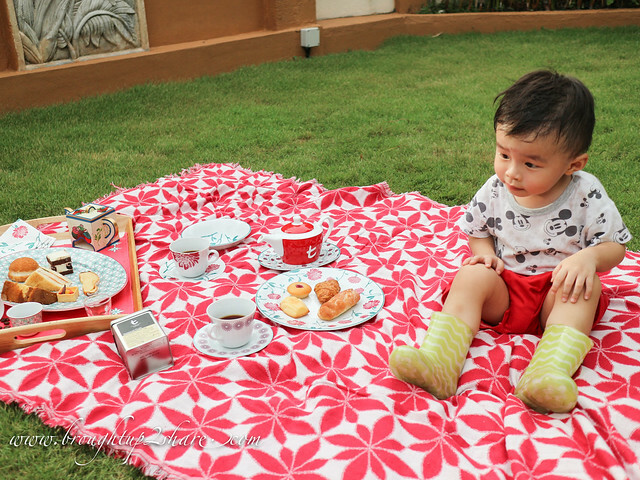 This round we’ve decided to have a small picnic with Mini C at our garden, incorporating the HEMMAFEST collection. Play with textures. 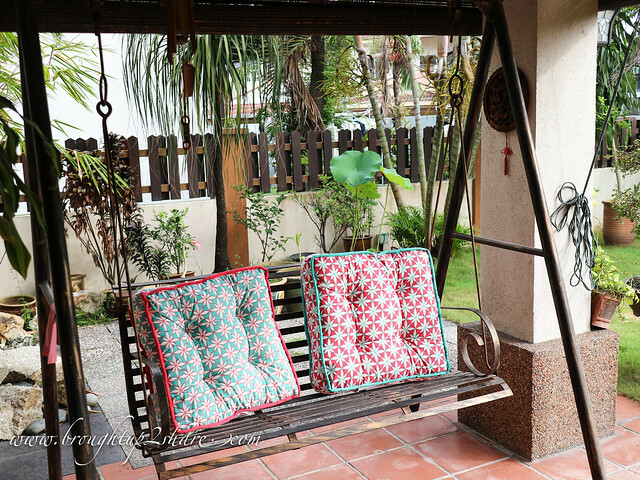 Just like all seating and back cushion, their decorative deco cushions come in appealing fabric styles. Each of these styles has its own distinctive weaving structure and, with it, a look and feel all its own. We used the HEMMAFEST Floor Cushion, in 2 different colours as the cushion for our swings. The contrast and sharp colours totally turn our patio area into a more vibrant one. 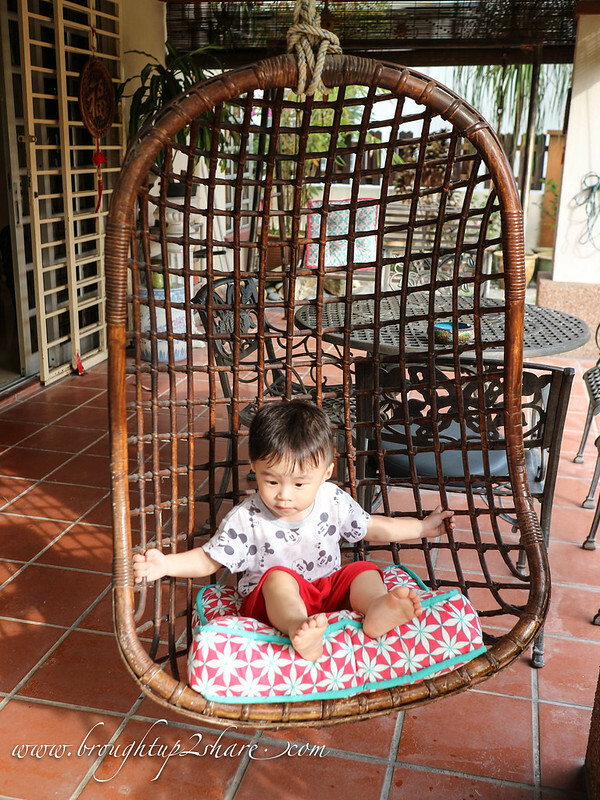 The floor cushion has great paddings and thus can be used as the seat cushion on our rattan swing as well. 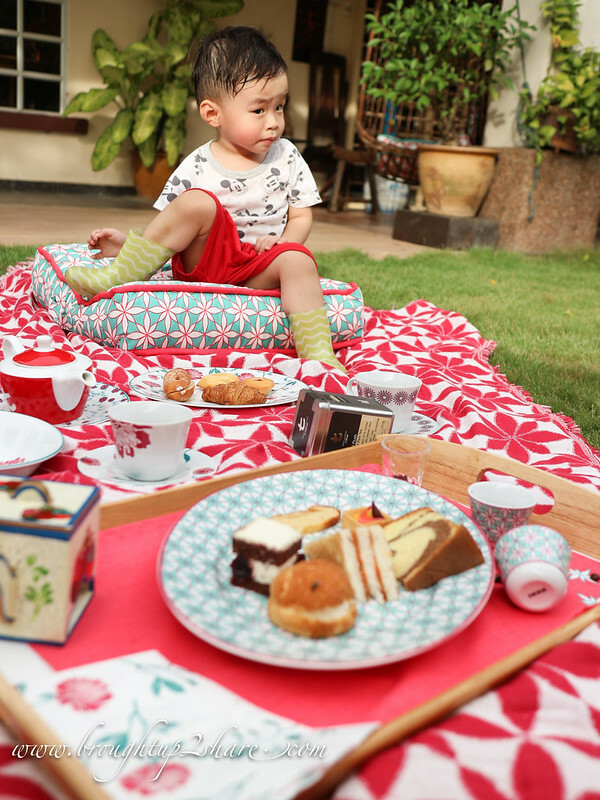 We would usually use our piece of decorative throw on beds & couches but have you ever tried using it as a picnic mat? We just did and it was awesome. It adds another dimension to our garden landscape and give it a year-round appeal. The jacquard woven HEMMAFEST Throw has a decorative pattern is visible on both sides, with inverted colours, and we chose red to generate contrast from our green grass. 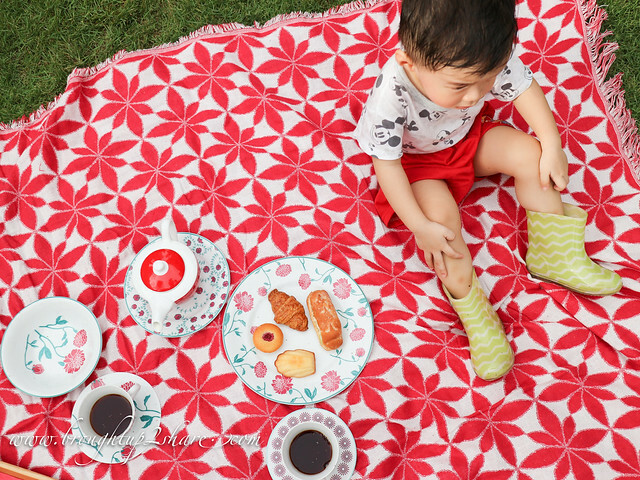 The cotton is soft and is easy-care natural material that we can machine wash. Mini C quickly jumped onto the throw and exclaimed “PICNIC!” once we lay it out on the grass. 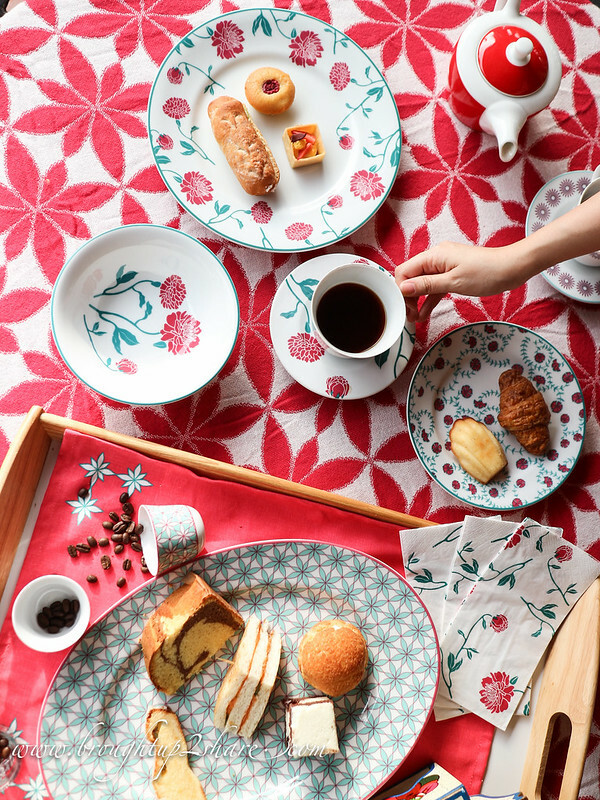 The prints are so modernly pretty, you wouldn’t even have to use it just for Hari Raya. 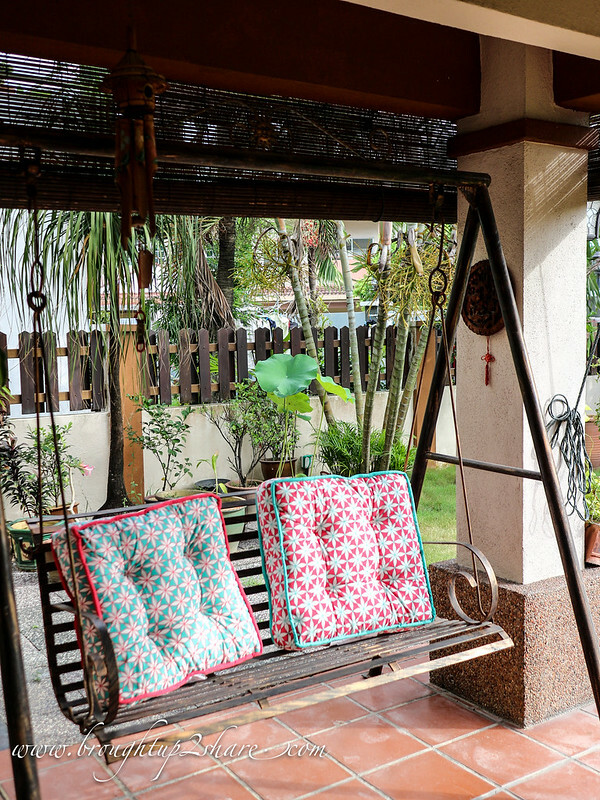 But still, you would still want to deck your home out for the festive period with the small household items like curtains, cushions and dining ware. 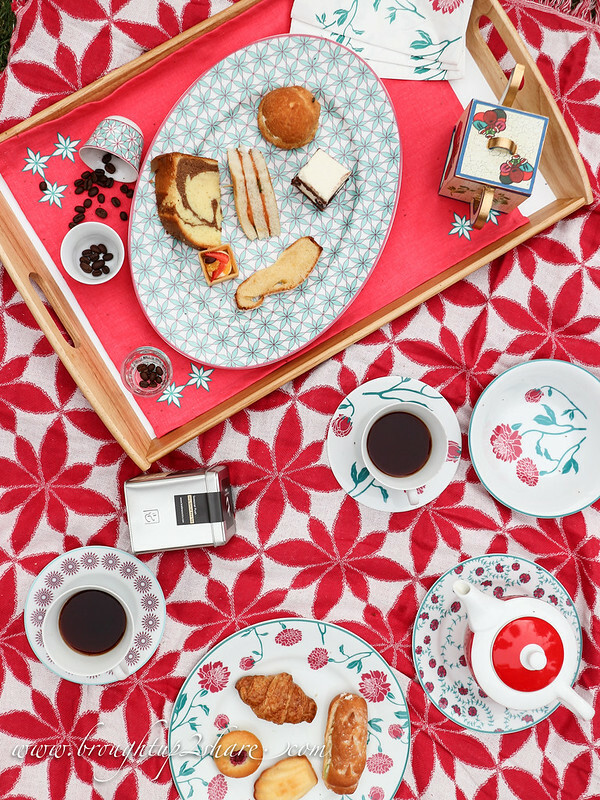 What’s a great afternoon tea picnic without delicious pastries and pretty dining ware that has elegant floral patterns inspired by Arabic art? We initially worried about too much details all at once, eg: too much floral prints being placed together. However, we were wrong – as every design in this HEMMAFEST collection has been specially crafted to complement each other so there’s no need to worry about mismatched pairings of clashing prints. The colour palette ranges from gorgeous teals and bold reds to minimalist designs that are sure to guarantee a worthy Instagram picture. 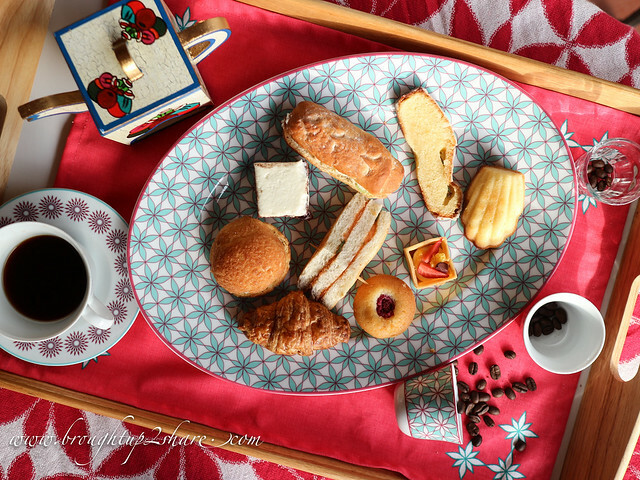 We decided to take away some afternoon tea pastries from our favourite French restaurant, Maison Francaise that serves French Hi-Tea during the weekends. 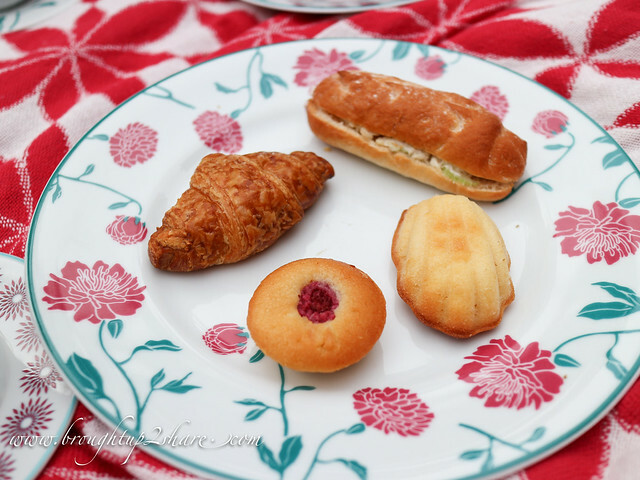 Serving these cute desserts and savouries on the HEMMAFEST Plate. 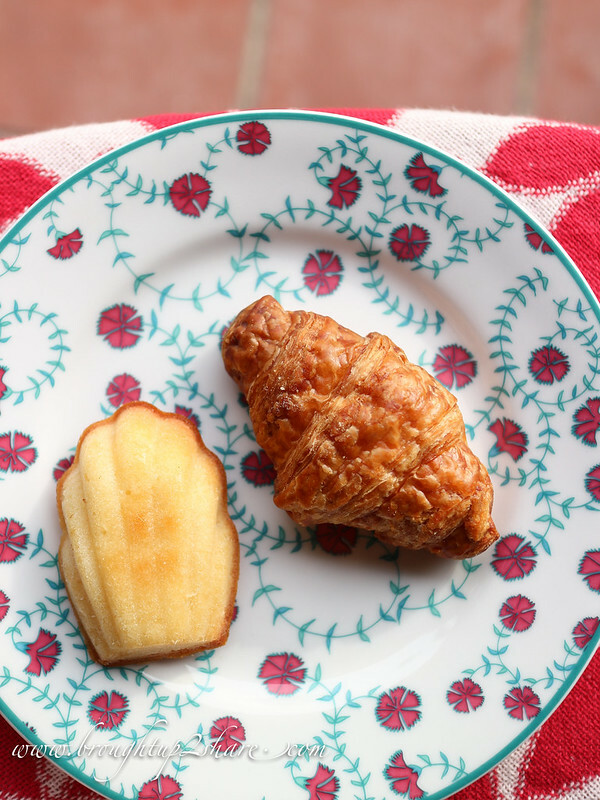 Madeline & mini Croissant on the HEMMAFEST Side plate. Also used this side plate to place my coffee pot. Win! Wanted to pour some soup into the HEMMAFEST Bowl but gotta show off its pretty floral first before doing so! One of our favourite buy would be the HEMMAFEST Coffee cup and Saucer as Papa C love making coffee at home. 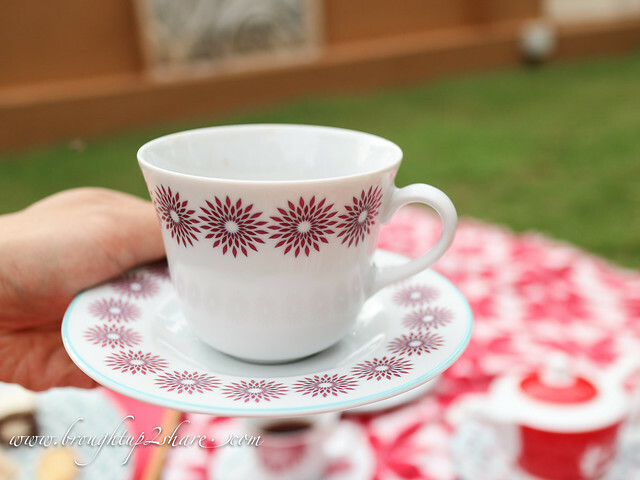 Serving some black coffee for the picnic! Papa C uses these HEMMAFEST Kava cup that comes in 2 pieces in a set to put his coffee beans for grinding! 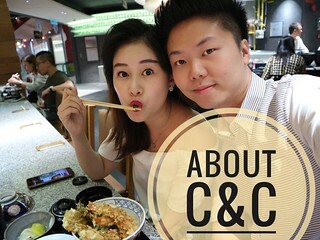 Very unique pattern they have. Laying on top of our serving tray is the HEMMAFEST Place mat in red. I love bright colours and thus I picked this this colour. Major love! One of the first thing I picked was this HEMMAFEST Paper Napkin. 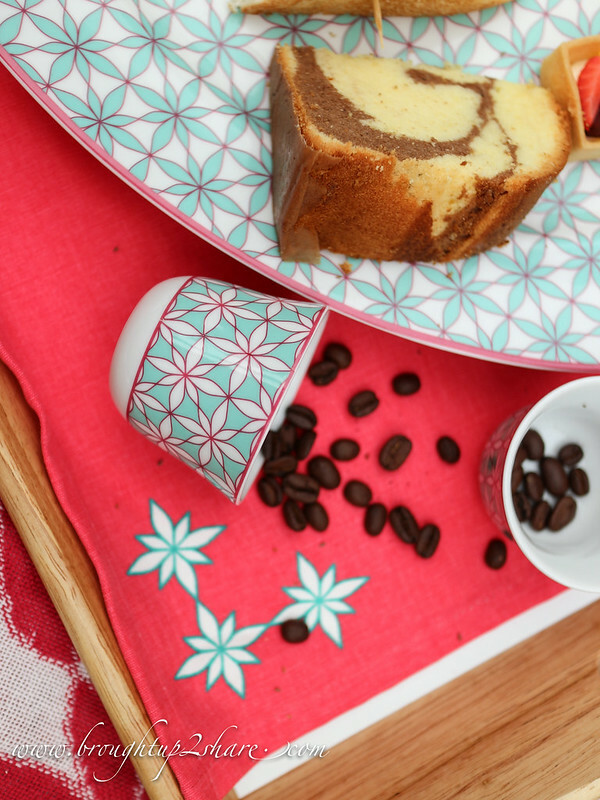 Complements with our tableware and I always have a thing for pretty napkins! 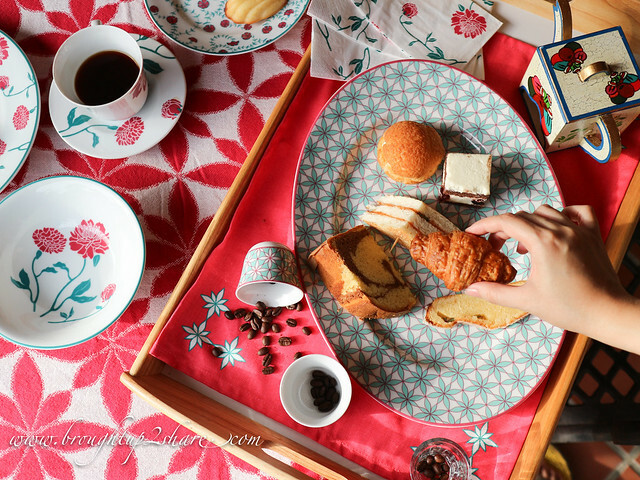 Serving more pastries on this HEMMAFEST Serving Plate that is made up of feldspar porcelain with a more complex teal floral print that gave a vintage touch to it. 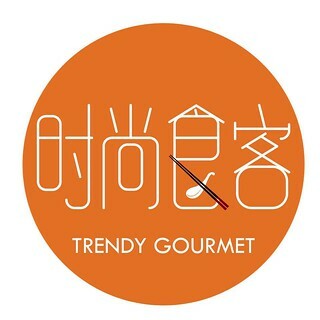 Next round we will use it to serve a whole fish. Can’t wait for the next #whatpapaCcooks ! Weather’s getting hot these few days and thus, we moved the picnic back to our patio! Laying out the HEMMAFEST THROW on our Garden Table and moved the HEMMAFEST Floor Cushion as the seat cushion on our patio chair. 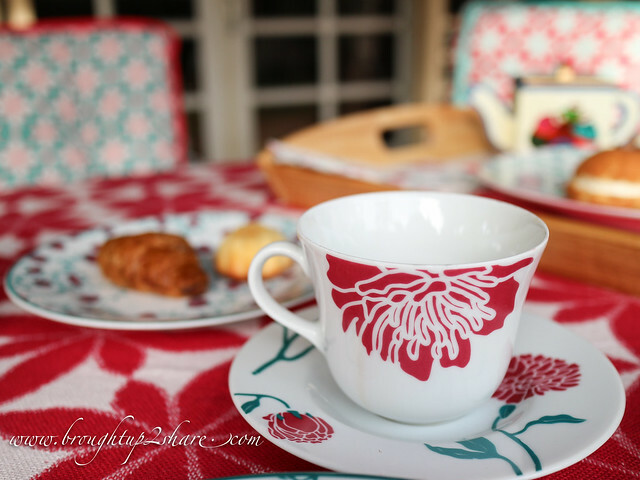 Love the colours and patterns as much as we do? Then don’t let the intricate prints scare put you off! The festive season is coming up and we feel that it’s the time to re-energize. 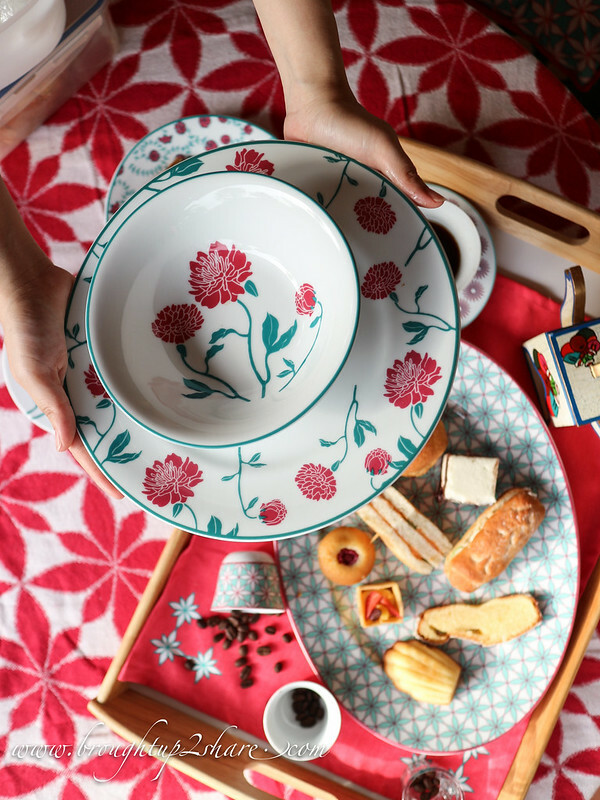 The HEMMAFEST collection is made up of tableware and home textiles that go perfectly with a great Hari Raya. 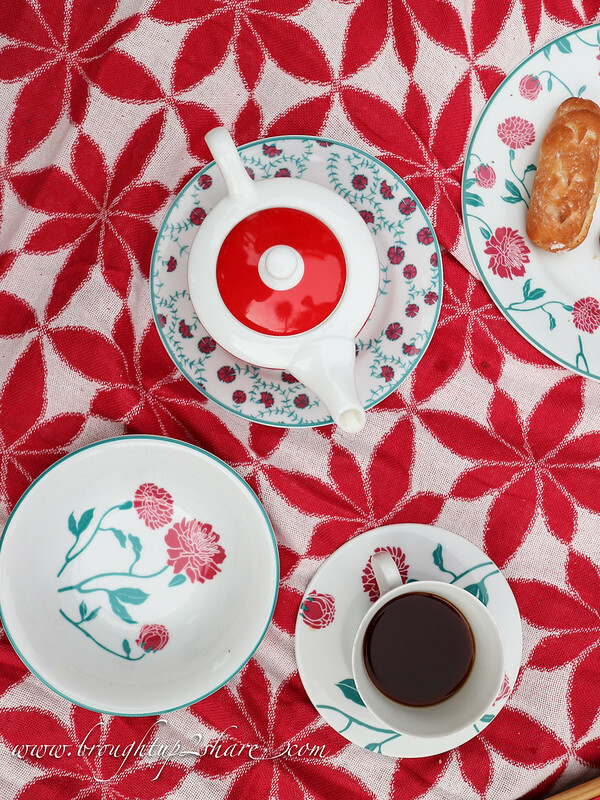 And of course every cup, plate, tray or cushion works just as fine for all kinds of gatherings, all year round – just like us! 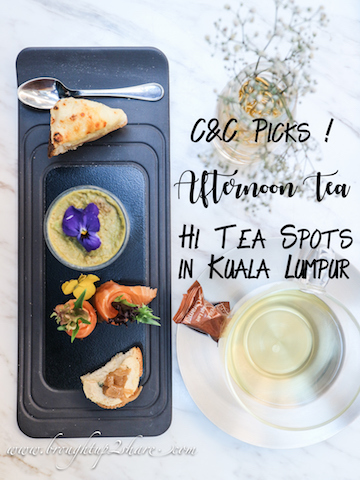 And we’re glad Mini C enjoyed this with us – creating a fresh and vibrant feeling when it’s time to set the table for a party. A picnic party at our very own garden.